The trustees present their report and financial statements for the period ended 31 March 2018. The charity’s objects are to promote t he advancement of education by training people to produce food in a sustainable and environmentally friendly way . In addition our activities can reasonably be expected to also promote t he relief of poverty, specifically food poverty, through the development of skills, including but not restricted to, food growing, preservation and cooking . Environmental protection and improvement by, for example, teaching the benefits of wildlife to food production and by creating healthy soil ecosystems. The charity promote s the use of land for recreational purposes by, for example, the creation of community gardens and other growing spaces . 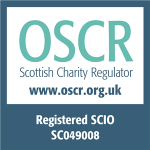 The trustees have paid due regard to guidance issued by the Office of the Scottish Charity Regulator in deciding what activities the charity should undertake. • Successfully completed its first project, funded by the Scottish Government, to teach people how to grow their own food and how to cook healthy, nutritious and affordable meals based on locally grown and locally sourced produce. • The project was based on land leased from Berwickshire Housing Association, land which now forms Ayton Community Garden. The project is managed by Abundant Borders with a team of local volunteers drawn from the community. • A project to build raised beds at a sheltered housing complex was completed. The raised beds provide salads and herbs for residents and outdoor space has been transformed into a bright space for residents to enjoy. • A partnership has been developed with Berwickshire Action for Voluntary Service to transform a space at the back of the charity shop in Eyemouth. The garden will be a leisure space for the volunteers and be accessible to local people to share herbs which will be grown. Over time the expectation is to develop the service further to include tool share and access to gardening and cookery books. • The charity has been working with the Salvation Army in Hawick, with funding from Awards for All and Postcode Lottery Trust, to develop the garden at the back of the Community Store as a food forest. The garden is being used as a training area to teach people how to grow food. The aim is to use the produce from the garden in the food parcels, which are distributed from the shop. • A partnership has been created, bringing together agencies and third sector organisations, to develop a Good Food Hub for Berwickshire. During the period the charity recorded a £30,573 surplus on the restricted fund. It is the policy of the charity that unrestricted funds which have not been designated for a specific use should be maintained at a level equivalent to between three and six month’s expenditure. The trustees considers that reserves at this level will ensure that, in the event of a significant drop in funding, they will be able to continue the charity’s current activities while consideration is given to ways in which additional funds may be raised. At the year end, the charity had no unrestricted funds and is therefore making efforts to put unrestricted funds in place. The trustees have assessed the major risks to which the charity is exposed, and are satisfied that systems are in place to mitigate exposure to the major risks. The charity intends to continue its charitable activities in order to achieve its aims and objectives. In considering the operations, achievements, performance and finances of the charity, the trustees are satisfied that public benefit has been provided in accordance with the Charities and Trustee Investment (Scotland) Act 2005 and guidance provided by the Office of the Scottish Charity Regulator. The charity is unincorporated, registered with OSCR, charity No. SC046962.